Cultural celebrations surrounding the Day of the Holy Cross and the Day of the Dead have deep connections to ancient Maya knowledge. These rituals reflect relationships between astronomical, spiritual, and agricultural cycles as they relate to rain and the fertility of the Earth. The ceiba tree and the square cross, with equal length in the vertical and horizontal directions, are Maya symbols that link the astronomical event of the zenith passage of the Sun to the tradition of the Holy Cross in early May. This time is also the beginning of the rainy season, when corn is planted. Day of the Dead festivities in early November are connected to the nadir passage of the Sun, when the Sun deity is visiting with the ancestors directly below. 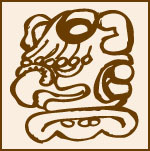 The zenith and nadir suns define a vertical connection between the Maya Upper-world above, and the Maya Underworld below. In the world of the Maya, many traditions are tied to astronomy.